Please Note: The Ace Binax has been superseded by two technology introductions. The Pure 10 Nx is the latest technology in this style/ size. Click Here to See the Pure 10 Nx. Ace Binax has a nearly invisible design makes it a very discreet choice. Its fitting range can accommodate most any hearing loss. It can accommodate progressive hearing loss over time. Ace’s discretion can be enhanced even more! 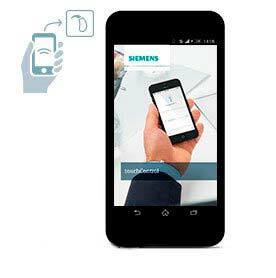 Use the new TouchControl App to confidently and discreetly operate Ace with your Android or iOS smartphone. What looks like sending a text is really a hearing aid adjustment! Although Ace Binax is so tiny in size, it is packed with many outstanding features. It is even resistant to moisture, sweat, dust and dirt according to IP67 standards. It can be immersed in over 3 feet of water for 30 minutes. The Ace is available in the 7bx, 5bx and 3bx feature levels. Warranty - Manufacturer's 3 year warranty with 5 Binax and 7 Binax. 2-year warranty with the 3 Binax. Warranties include loss and damage coverage. IP 67 Rating - Resistant to moisture, sweat and dirt. Can be immersed in 3 feet of water for 30 minutes. TouchControl App - use with iPhone or Android devices. Apps are available through the Google Play Store and Apple iTunes. Adapt to changing listening situations by using the touchControl App to make easy and discreet program and volume adjustments. Use SoundBalance to effortlessly change the bass and treble of your environment according to your listening preference. Easy to use and easy to get just simply download the touchControl App to your Android or iOS smartphone on the Google Play Store or Apple App Store. The best part is that the download is free!